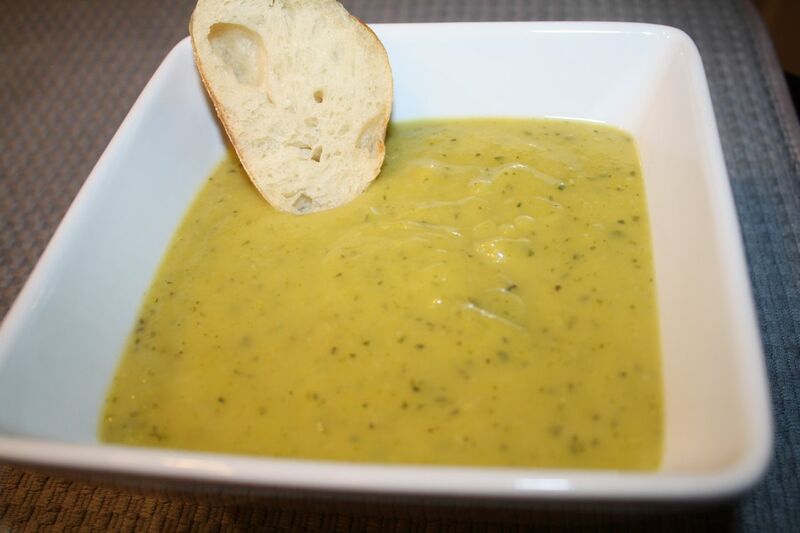 In a large saucepan, combine pumpkin, zucchini, potatoes, onion, vegetable stock, oil, parsley, and garlic. Cover and Simmer, stirring occasionally, for 45 minutes or until the vegetables are tender. If stock simmers down, add water to reach original level. In food processor or blender, puree mixture in batches. (at this point, soup can be refrigerated for up to 3 days) Return to saucepan. Add milk and basil; heat until hot. Stir in lemon juice, salt and pepper to taste and garnish each serving with shredded basil. Makes 8 Servings, ¾ C each. Note: I just suggest using about half the amount of basil. It's delicious with it but it can be a little over powering. It's purely preference, it's amazing either way.